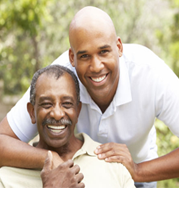 Do you worry about the emotional and physical well-being of your Elderly or Senior loved one? We understand that it can be hard to find time to provide personal care for a loved one that needs assistance – especially if they’ve still got their independence, but you’ve noticed that certain tasks take up more of their energy and take longer to do. At A-1 Home Care, we offer compassionate and experienced caregivers, personal assistants, nurse aides, and companions for in-home care. Our personal services include companionship as well as assistance with healthy meal preparation, exercise, engaging in stimulating activities, in home and outside transportation, mail and bill organization, personal hygiene and grooming, and anything else you specify. 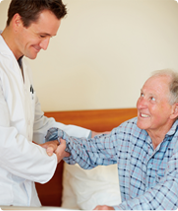 We specialize in Elder Care services such as Alzheimer’s Care, Parkinson’s Care, Arthritis Care, After Surgery Care, Incontinence Care, Diabetic Care, Cancer Care, and Hospice Care. Our in-home care reaches the communities of Costa Mesa, Newport Beach, Irvine, Corona Del Mar, Westminster, Garden Grove, Huntington Beach, Seal Beach, Los Alamitos, and others in Orange County and Los Angeles County. A-1 Home Care is a non-medical caregiver placement agency that has been in business since 1991, has an A+ Rating from the Better Business Bureau, and Shield Accreditation. We have memberships with the National Care Planning Council and Chamber of Commerce of Torrance, Newport Beach, Pasadena, and Santa Fe Springs. 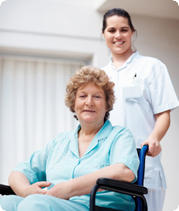 To interview and hire a compatible caregiver in your area today, CALL us at 949-650-3800.